This four-part series reveals the unique stories behind the most-loved ingredients that can be found in the Philippines. From here, gastronomic discoveries unfold, with Margarita’s special hand in preparing a special dish. In a span of 30 minutes, "Harvest" will leave viewers with a new appreciation for Filipino flavors and an intensified desire for food and culture. Asia’s Best Female Chef of 2016 Margarita Forés continues her streak with a new culinary travel show on CNN Philippines. 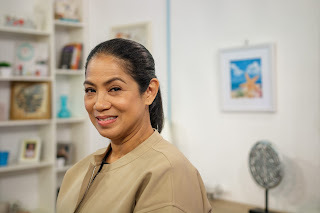 Entitled "Harvest with Margarita Forés," the 30-minute program follows Margarita in her sojourns through key destinations in the Philippines and the unique ingredients they are known for. As she uncovers the history, people and culture in which these ingredients thrive, she creates sumptuous dishes that bring forth its true flavors. "Harvest with Margarita Forés" will premiere on February 18, Saturday, 7PM only on CNN Philippines Free TV Channel 9 or via livestreaming on cnnphilippines.com/video. Catch the lauded chef as she roams the country in the name of food.